LEE WEBER GROUP IS A NATIONAL LEADER IN EXECUTIVE HEALTHCARE RECRUITING. CANDIDATES ARE MATCHED TO POSITIONS THAT MAXIMIZE THEIR SKILL SET AND ABILITIES. WE OFFER CONTINGENT, RETAINED OR EXPANSION CONTRACTS, PROVIDING INTEGRATION ASSISTANCE IF NEEDED. ALL OF OUR SERVICES ARE CONFIDENTIAL. WE ARE PASSIONATE ABOUT FINDING THE BEST CANDIDATE FOR THE JOB. RECRUITING TOP-TIER TALENT REQUIRES TOP-TIER EXPERTISE. IN TODAY’S RAPIDLY CHANGING MEDICAL AND PHARMACEUTICAL INDUSTRIES, IDENTIFYING AND RECRUITING THE BEST TALENT IS COMPLEX AND CHALLENGING. TRUSTED RELATIONSHIPS AND YEARS OF EXPERIENCE ARE NEEDED TO ALIGN EXPECTATIONS WITH INDUSTRY DEMAND. LEE WEBER GROUP USES BOTH IN CONJUNCTION WITH CUTTING-EDGE TECHNOLOGY TO FIND QUALITY CANDIDATES DESTINED TO SUCCEED. Preferred search contract for senior executive searches and sales force expansions. Rich network of qualified candidates to find your company the perfect match. Tailor-made retained contract. Closely managed process based on number of hires, launch schedule, and interview logistics. Plan is designed for recent college graduates or candidates with less than five years of employment history. Goal is an entry-level position in healthcare or other industry. Plan is designed for established, mid-career candidates seeking career advancement. 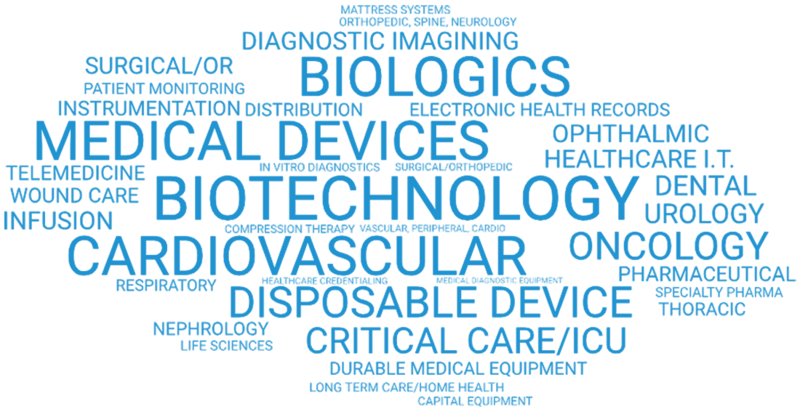 Goal is a mid-level position in healthcare or other industry. Plan is designed for industry executives with strong, corporate-level leadership experience. Goal is a top-level executive position in healthcare or other industry. Director of Sales at Abena N.A. 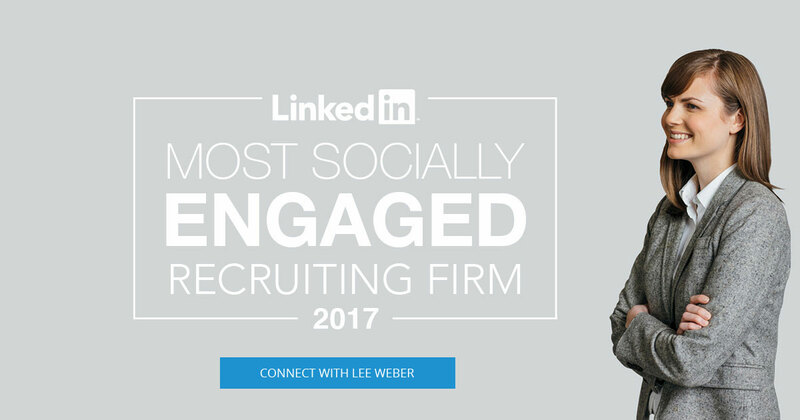 LEE WEBER GROUP IS HONORED TO BE A MEMBER OF FIRST INTERVIEW NETWORK, THE WORLD’S LARGEST NETWORK OF INDEPENDENT RECRUITING FIRMS DEDICATED TO PLACING HIGH-END SALES, MARKETING AND MANAGEMENT TALENT WITH FORTUNE 1000 MEDICAL DEVICE CLIENTS. EXCLUSIVE MEMBERSHIP ENABLES LEE WEBER GROUP TO SUPPLEMENT ITS OWN CONSIDERABLE INTERNAL RESOURCES BY CONTACTING MORE THAN 1,000 FELLOW AFFILIATES WORLDWIDE AS NEEDED. FIRST INTERVIEW NETWORK SETS THE INDUSTRY STANDARD FOR ACHIEVEMENT AND ETHICS IN RECRUITING. Lee has over 25 years of management and recruiting experience, working with companies such as Johnson & Johnson, Smith & Nephew, and Tyco Healthcare. He started Lee Weber Group in 2006 and has since then worked to provide exceptional candidates for his clients year after year. Outside the office Lee enjoys Thoroughbred horse racing and cheering on his favorite sports teams, such as the Cleveland Cavaliers, Cleveland Browns and Kentucky Wildcats. Nolan is an experienced executive recruiter who has successfully placed over 250 candidates, including Vice Presidents of Sales, Divisional Managers, Clinical Nurses, Corporate Account Executives and Medical Sales Representatives. Nolan has worked with the Lee Weber Group for over 10 years and has developed an extensive knowledge of the healthcare recruiting industry, continuously developing his professional skills. In his spare time Nolan enjoys golfing, hiking and boating. Jessica is a senior at the University of Kentucky studying business management and public health. She plans to continue her education as she works towards obtaining her masters degree in health administration. She uses her skills and market research knowledge to help the Lee Weber Group expand their candidate portfolio and extend their reach on social networks. Outside the office Jessica enjoys hiking, traveling, and checking out new breweries. Esther is an accomplished marketing and communications professional with 13 years of demonstrated history working in the tourism, advertising, and publishing industries. She holds a Bachelor’s degree in journalism and English from Asbury University and handles copywriting, social media marketing and website design for the Lee Weber Group. In her spare time, she enjoys running road races and cooking. Rebecca has over 15 years of experience working in the accounting and management fields in diverse industries. In 2005 she founded Talent Financial Group which has served several different industries, including construction, property management and employment agencies. Rebecca graduated from the University of Kentucky and joined the Lee Weber Group in 2011 as its primary accountant. In her spare time Rebecca enjoys traveling, working out and reading. Dr. Scarlata has been handling staffing, employee relations, benefits, payroll support and training at Lee Weber Group since 2006. She holds a Ph.D. in Accounting from the University of Kentucky and an M.B.A. and B.B.A. from Morehead State University. Dr. Scarlata is a vital member of the team and brings a myriad of knowledge and experience to Lee Weber Group. She enjoys Kentucky basketball and reading in her rare spare time. WE’D REALLY LOVE TO HEAR FROM YOU, SO WHY NOT DROP US AN EMAIL?